Horizontal shale drilling was authorized by legislation passed by the General Assembly in May 2013 and signed into law less than three weeks later. The new law instructed the Department of Natural Resources (DNR) to develop rules to govern the new industry. DNR is attempting to generate a complex set of rules that will govern how these oil and gas deposits can be drilled and pumped in southern Illinois without damaging the environment. Many stakeholders, including environmentalists and the energy production industry, have made their voices heard on what these rules should say. One of the reasons this rulemaking is a matter of great public interest is because fracking, carried out in other states led by North Dakota and Texas, has proved to be successful and has created many high-paying jobs. The General Assembly’s Joint Committee on Administrative Rules (JCAR) met on Tuesday, October 14 in Chicago and learned that progress on finalizing these rules is being made. The Committee will meet again on November 6 in Chicago, and its members expressed the hope this week that the rules will be final by that date. JCAR is a twelve-member bipartisan legislative panel that oversees the administrative rulemaking activity of the State. The Associated Press and its partner, the State Journal-Register, have this week’s fracking-rules story here. Hotline plans announced; Ebola screenings begin at Chicago’s O’Hare Airport. The Illinois Department of Public Health opened a toll-free hotline on Thursday, October 16 to answer the public’s questions about the Ebola virus. The hotline number is 1-800-889-3931. Read more on this story at The Caucus Blog. 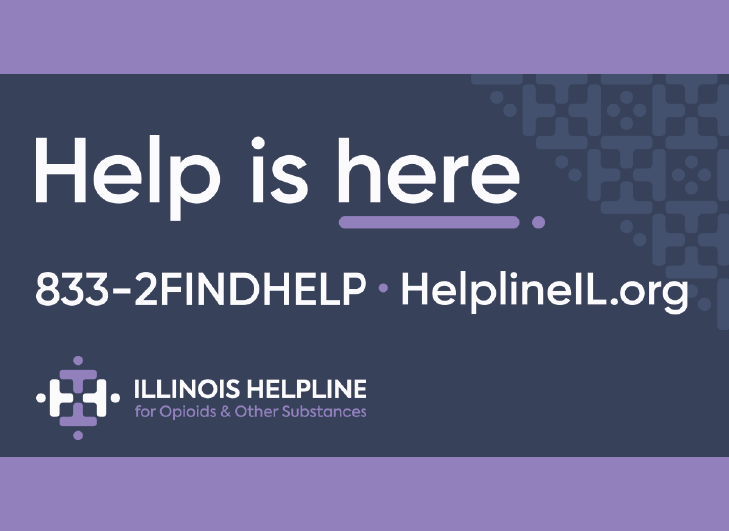 The hotline will be staffed by members of the Illinois Poison Control Center. They will be able to answer standard questions about Ebola, its symptoms, how it is transmitted, and what is being doing to prevent it from coming to Illinois or to contain it if it gets here. The high level of public concern about this virus could lead to significant waiting times on the hotline. The hotline will not practice medicine over the phone and specialized questions about the viral outbreak should be shared with health care professionals. Meanwhile, the Department of Homeland Security has expanded its Ebola screening system to cover arrivals at O’Hare International Airport. The four international airports where screenings were set began on Thursday, October 16 serve Atlanta, Chicago, Newark, and Washington, D.C. Screenings had previously been set in place at New York City’s Kennedy Airport. Existing law allows Homeland Security personnel to bar persons, even after landing at an airport, from officially entering the United States. If barred from entry, they may be detained and eventually returned to their country of origin. The screening procedure set in place will affect travelers who originated in Guinea, Liberia or Sierra Leone, a set of countries in West Africa where Ebola is known to be epidemic. They will be subjected to a series of additional questions about their health and their contacts with persons known or suspected to have been sick. They will have to consent to have their temperature taken and the border agent will evaluate them for other signs of illness. If they are ill, they will be detained and given treatment; if they are allowed into the country, they will have to submit contact information. Investigation continues. The Legislative Audit Commission is continuing its investigation of the troubled Neighborhood Recovery Initiative (NRI), following new revelations presented to the panel in hearings held in Chicago on October 8 and 9. Emails unsealed by the Commission showed coordination between former senior members of Gov. Quinn’s staff, including former chief of staff Jack Lavin, and the governor’s political staff. The scandal-plagued NRI program was set into top gear during the weeks immediately prior to the November 2010 general election, in which Quinn narrowly won election to a full term in office. Following subpoenaed testimony by key NRI and Quinn officials, the Audit Commission unanimously decided to hold open the audit and continue the inquiry. The legislative panel expects to receive more evidence which will have to be scrutinized as inquiries into the troubled program continue. In addition, law enforcement efforts – including the convening of at least one grand jury – continue to focus on activities by the Quinn administration immediately prior to the November 2010 election. Two U.S. Attorney’s offices, in Chicago and in Springfield, and the office of the Cook County State’s Attorney are involved. Emanuel budget puts off looking at city pension crisis. Faced with a multi-billion-dollar pension shortfall in promised benefits to city police officers and firefighters, Mayor Rahm Emanuel presented a budget to Chicago’s City Council on Wednesday, October 15 that defers the issue. In order to “fully fund” that slice of the city’s pension bills that will come due in the approaching fiscal year, the FY15 budget would have had to increase pension funding by $550 million. However, no such money was included in the budget. The city’s fifty aldermen/alderwomen were urged to ignore the issue and pass the budget without the pension payment. The budget was described as dealing with other urgent fiscal issues facing the city. Fiscal watchdogs criticized Mayor Emanuel’s failure to speak to the looming issue of unfunded Chicago pension costs. “What happens if we don’t get pension reform?” asked Lawrence Msall, president of the nonpartisan Civic Federation. “That is the ticking time bomb of the city’s finances.” The missing $550 million is not a one-time expense, but an annual expense – equivalent to more than $200 for every man, woman, and child in the city – that will have to be increased and multiplied indefinitely in future years under the pension deals contracted by the city and its public safety unions. Local fire departments to get more help in program pushed by Rep. Don Moffitt. First responders are facing more and more challenges, including unconventional search-and-rescue operations and operations involving actual or potential releases of hazardous chemicals. An updated program, shepherded through the House by Rep. Don Moffitt, helps local fire departments and emergency response teams gain access to the current lineup of state-of-the-art emergency response vehicles. The program, announced by the Office of the State Fire Marshal on Wednesday, October 15, revises the terms of the State revolving loan program that helps local agencies purchase fire trucks and brush trucks. The revised program provides zero-interest or low-interest loans to local fire and public-safety authorities to purchase these vehicles at prices up to $350,000 per vehicle. A cap on the per-vehicle price, set under the terms of a previous version of this program, threatened to put state-of-the-art public safety vehicles out of reach for many Illinois authorities. This was especially significant to many fire districts in Downstate Illinois where response times are an additional challenge. 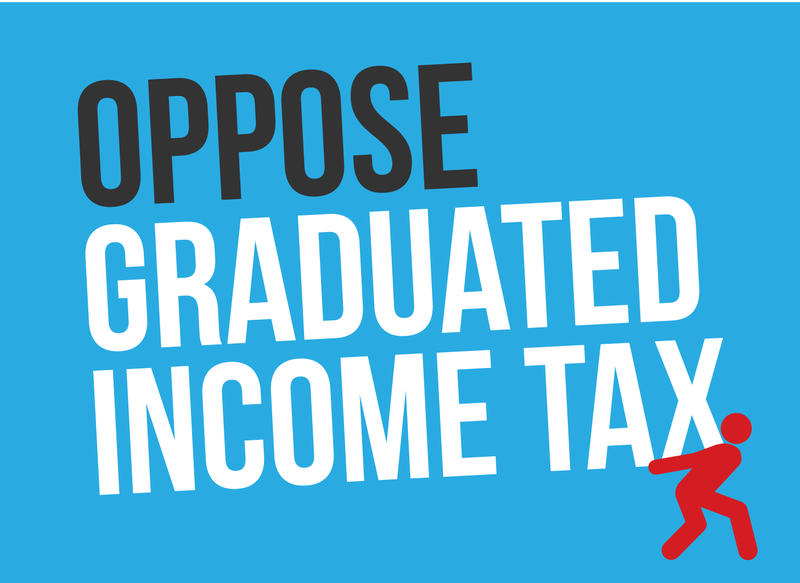 The revised terms of the program were included in SB 2690, which became law in June. $14 million, to begin implementing the program, was set aside over the following four months and the loan application books were opened this week. Most Illinois fire departments, fire protection districts, and township fire departments are eligible to apply for loans. Loan applications, which must be submitted no later than December 12, 2014, are available here. Factory to close in northwest Illinois’ Hanover. The plant, which makes water valves for white-good kitchen appliances, employs more than 100 people. The closing date is scheduled for September 2015. Work done in the plant is being shifted to another factory, also owned by the same firm, located in northern Mexico. Historically known as Invensys Controls, the firm has operated in Hanover since 1965. Sentiment seen shifting towards routine police use of body cameras in field. With the recent introduction of light, durable digital video collection devices, voices are starting to be heard calling for increased use of these devices in day-to-day police work by officers on active duty. The presentation of videos showing interaction between police officers and the general public in real time could provide additional information to investigators and courts of law, particularly in situations where only two persons were present and both have different memories of what was said and done. Recent events have added to calls for increased consideration to be given to routine issuance of body cameras to police officers as a component of their uniforms when on active duty. Questions remain on the budgetary consequences of the move, the move’s impact on police labor relations, and under what circumstances (if any) the use of police body cameras should be mandated in the field. The House Judiciary Committee was scheduled to hold a hearing on Friday, October 17 in Chicago to further discuss the issue. Panel looks at ways to reduce costly prison stays. In a hearing held in Chicago on Tuesday, October 14, a General Assembly panel heard testimony from citizens who want the State to look at some of the mandatory-minimum sentences imposed upon persons convicted of certain defined criminal offenses. Under current law, severe jail terms or felony imprisonment may be imposed upon persons convicted of non-violent, low-level drug possession or drug paraphernalia possession. In some cases, enforcement of these laws could be characterized as capricious or inconsistent. For example, the possession of a specialized smoking pipe with intent to use for the ingestion of cannabis is a Class A misdemeanor under current Illinois law for which a defendant may be convicted and sentenced to up to 1 year in county jail. Witnesses at this week’s hearing called for revisiting suggested and mandatory sentence schedules for offenses like these. No action was taken by the panel. Not all stakeholders agree that laws like these are inappropriate, or applied in an arbitrary or capricious manner; many public-safety advocates voice support for the appropriateness of zero-tolerance laws aimed at conduct like this. Taxpayer advocates are increasingly looking at working with traditional civil-liberties advocates on potential innovations in sentencing reform as steps to take as part of an overall plan to reduce Illinois tax burdens and public-sector expenditures. Other offenses, as well as low-level drug offenses, could be considered as part of this reform effort. Op-ed columnists John Maki and Paula Wolff advocate for this move in Crain’s Chicago Business. A change in federal administrative rules regarding the tax status of business firms, however, has caused AbbVie’s legal advisors to adjust their opinion on the advisability of the merger. On Thursday, October 16, the firm urged its shareholders to vote against the move. The headquarters move, which is likely to be heeded by shareholders, effectively ditches the merger. AbbVie formulates pharmaceutical preparations intended to deal with chronic health challenges, including challenges of a hormonal or immunological origin. Examples include rheumatoid arthritis, Crohn’s disease, psoriasis, and low testosterone. A statement released by the firm’s management expressed continued frustration with the current U.S. tax climate, signaling the continued possibility that the firm may continue to look for business opportunities outside Illinois and the United States. FAA Chicago Center restored to service. The federal air traffic control facility in Aurora, damaged by an arson fire, was restored to full service on Monday, October 13. Round-the-clock work by the Federal Aviation Administration was required to install replacement cables, data communications equipment, and switches. The center plays a vital role in the control of radar operations governing the movements of hundreds of thousands of flights annually across the central U.S., and when it went dark for seventeen days in late September and early October the incident caused widespread disruptions to Chicago-area air traffic. School of fish crowds the classroom in Illinois River. The Asian carp has found a happy home in Havana; the historic river town has found itself in 2014 as the home of a mother lode of this invasive species of fish. However, many Illinoisans do not know how to gut, prepare, or eat Asian carp, which is chasing familiar aquatic river life, such as catfish, into scarcity or extinction. “Asian carp” is actually a category of several different species of invasive fish, all carp from Asia, that have come to Illinois after being inadvertently released from fish farms in Arkansas and Mississippi. The silver carp, knowing for jumping, is often the species seen in widely-seen YouTube videos that show speedboaters and sportsmen bombarded by flying fish. In some cases, anglers have taken bows and arrows to the Illinois River. The carp they have shot can weigh as much as 40 or 50 pounds, fattened by runoff from the farm fields that border the river. Many fishermen successfully catch the common fish with nets. WGN-Channel 9 sent reporters and a camera crew to Havana and has the story here. Get the Week in Review emailed directly to your inbox! Sign up today to get a first-hand look at the continuing legislative and fiscal challenges facing policymakers in Springfield. 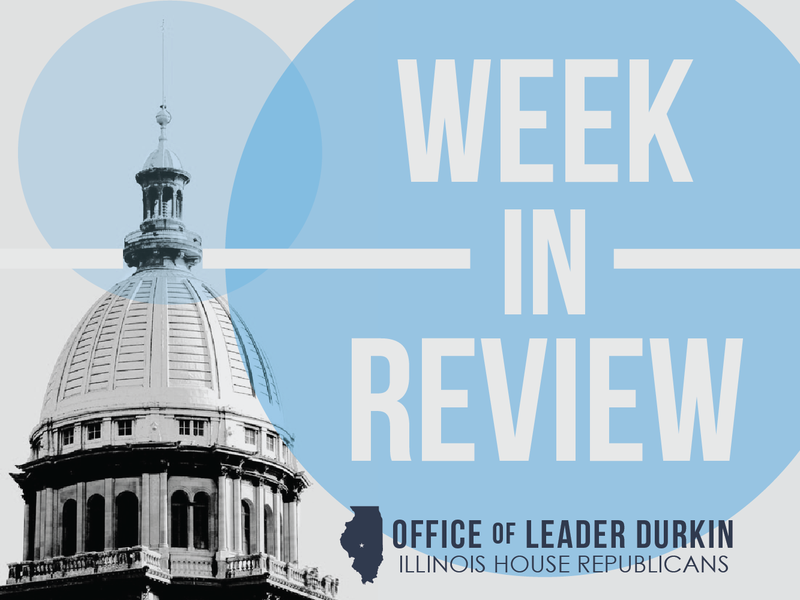 As the fall 2014 veto session approaches and policy questions take center stage, the Week in Review is more essential than ever as a way to follow major Illinois issues, questions, and trends.